These were solid figures, United’s money machine is actually quite a predictable beast (as long as we qualify for the Champions League each year). Revenues rose 7.1% in Q2 vs. last year, all driven by the Commercial side of the business. Matchday income was down 1% despite the club playing exactly the same number of home games as last season (10). This was driven by a tiny dip in average attendances from 72,862 to 71,851 (the Wolves Carling Cup game was not a big draw). The “star” was again the commercial operation. Revenue was up by a third vs. last year at £25.5m for the quarter. The rise of £6.3m on 2009/10 splits roughly; £1.5m extra from Aon compared to AIG, £0.7m extra from Nike and £4.1m from the plethora of “partners” signed up in recent years (DHL and Epson being recent examples). The big question of course is how much further the club can push these “partnerships” in the future. Can £15-20m continue to be added each year or will the growth flatten out? Endemic cost inflation remains the bane of football. The cost growth in Q2 was actually lower (7%) than in Q1 (15%), which may be due to the timing of bonuses. Over the first six months of the financial year, United’s wage bill rose 10%. Other operating expenses rose 22%, which the club blamed on (non-staff) expenditure “largely associated with the Company’s commercial and media business”. A £3m rise in these items year on year is pretty large, and may reflect commissions paid to acquire commercial partners. In aggregate, costs are growing slightly faster than income. EBITDA (“earnings before interest tax and amortisation”) growth remains subdued and does not (as I wrote in the Guardian this morning) justify a very high valuation. EBITDA in Q2 rose 2.8% and over the first six months of the year 3.2%. It is striking that very fast revenue growth from the commercial arm is unable to drive any real profit growth. The club spent £1.3m in Q2 on capital expenditure at Old Trafford (further development of the executive boxes in the North and East stands). Net (cash) transfer spending was £3.5m for the quarter (which obviously falls outside a transfer window). This included stage payments for Smalling (well worth it) and Bebe (hmmm). The second quarter of the year is very working capital negative as prepayments unwind. There was a seasonal working capital cash outflow of £31.8m, to leave operating cash flow for the quarter at £12.7m. Bond interest is paid in February and August so there was no payment in this quarter’s numbers. 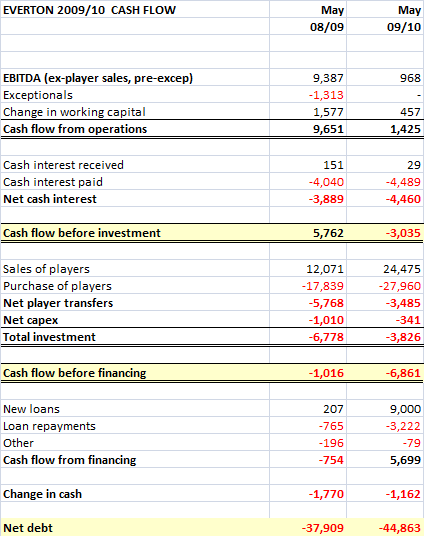 Deducting the investment described above, the club saw a cash inflow of £7m. During Q2 Red Football bought in (but did not cancel) £24m of the sterling bonds. With cash sitting in the bank earning c. 1%, and bonds costing 8.5%+, this is obviously a sensible bit of housekeeping. The buyback and a small fall in the pound vs. the dollar left the company with £489.4m of gross debt. On the asset side, the club has £134.5m of cash in the bank. Regular readers will know that this is effectively the money received from selling Ronaldo in 2009 (£80m) and the pre-payment of the Aon sponsorship in 2009 (£35.9m) and the cash in the bank at the end of 2007/08 prior to these events. These windfalls remain unspent. On the conference call with bond investors, Ed Woodward (“Chief of Staff” and architect of United’s financial plan) explained that having such an unusually large amount of money in the bank was to ensure “flexibility”. People like me think that the money is earmarked to be paid out of the club in dividends at some future point (there seems no financial logic for sitting on it). Woodward reiterated however that there are “no plans” to pay dividends. There was (unsurprisingly) no comment on the PIK repayment in November or the move of the holding company to Delaware. These are matters outside the scope of these results. No explanation of where the Glazers suddenly found £249.1m to repay the PIKs has been forthcoming of course. United as a business is in good shape. 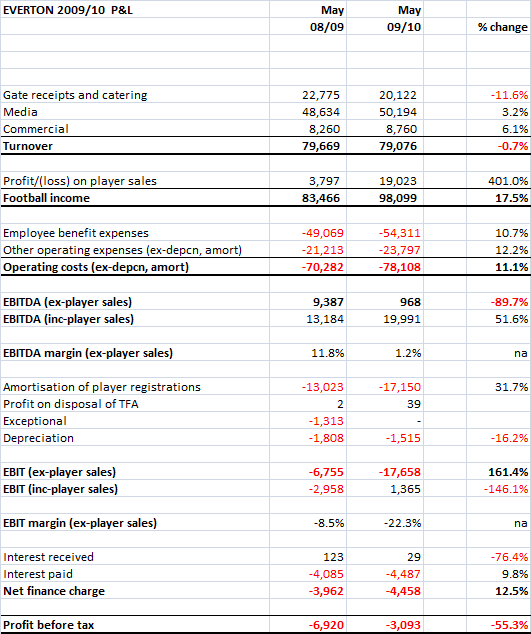 The club will (barring a calamity on the pitch) makes £105m+ of EBITDA in the current year. That places it in a league of one in European football. Pre-transfer cash flow will be less strong as interest, swap loss payments and working capital outflows impact, but the club will be cash positive. From a growth point of view however United is like a plane running on only one functioning engine; commercial partnerships. Between 2006 and 2010, largely through ticket price increases, matchday revenue rose 9.4% per annum, it is now not growing at all. Over the same period, media income rose a staggering 23% per annum, it is now growing 1-2%. Everything rests on commercial partnerships. None of this is particularly gloomy as the club already makes so much money, but what it does show is that future growth is going to be very hard to find. Meanwhile the great “cash mystery” remains. Why issue expensive bonds at 8.5% interest whilst keeping so much money in the bank? Why has there been so little transfer spending by the serial smasher of British transfer records? Where did the PIK repayment money come from? Woodward claims the money in the bank is there to provide “flexibility”, but the club was happy to run with an average cash balance of £45m between 2005 and 2008. Now £135m is seen as prudent, far in excess of what any football club anywhere has needed before. Why the sudden change? As ever with the Glazers, more questions than answers. To much anger and dismay across football, UEFA announced last week the ticket prices for this year’s Champions League final at Wembley. Prices for “neutral” seats range from £176 to £326 each including the laughable £26 booking fee. So called “Category 4” tickets at £80 will be distributed to the two clubs who get through to the final. I agree with Fergie and Paddy, but of course their employers have hardly led the way in keeping football affordable. 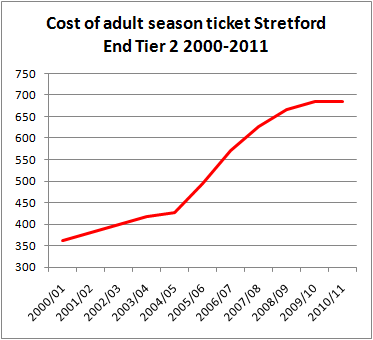 The graph below shows the cost of a season ticket in Tier 2 of the Stretford End at Old Trafford from when it opened in 2000/01 to now. The graph slopes upwards until this season’s ticket price freeze, but the rate of increase in the first four years (under the plc) is radically different to what happened after the Glazers took control. The average rate of increase from 2000/01 to 2004/05 is 4.3%, but from 2004/05 to 2010/11 it’s 8.1% (9.9% pa until this season's price freeze). The Glazers are very proud of their price increases, calling them one of the “Key Wins under the Glazer Reign” in their 2006 Investment Memorandum. United report their second quarter results this Friday and will show another quarter of profits and a large cash balance. So perhaps Paddy and Fergie should take their concerns about supporters to David Gill and suggest using some of that money to reduce prices next year. With the economy so weak and inflation eroding real incomes, United could easily afford a 10% across the board price cut to help supporters. Now that would be "unbelievable". Everton are a well run club. There has been no unsustainable "living the dream" at Goodison. The club typically sells to buy players, has had the same well respected manager for nine years and has an active and successful youth set-up. Despite all this, the club struggles to compete financially with better resourced teams and has seen its debt rising steadily year after year. TV income has been securitised (borrowed against) and the club also has bank debt. The fact that a well supported, prudently managed club like Everton, one that has seen moderate success in recent years, can still find itself under financial pressure during this era of huge TV deals speaks volumes for financial issues in top level English football. Like almost all the Premier League clubs that have reported results for last season, Everton's income is not really growing (the exception is City who have an uncanny ability to do commercial deal with companies owned by Abu Dhabi). Turnover was down 0.7%, caused by an 11.6% fall in matchday income. The club played 26 home games in 2009/10 compared to 23 in 2008/09, but the prior season included the club's successful cup run (and thus receipts from the FA Cup Prize Fund and gate receipts from the semi-final and two away ties). Media income rose 3.2%, with the sale of Europa League rights offsetting a fall in Premier League money after coming eighth vs. fifth the season before. Premier League media income represents 85% of broadcasting revenue. The new tie-up with Kitbag meant commercial income grew 6.1% despite weak economic conditions. On the cost side there was a depressing familiarity to the results with wage costs rising 10.7% and other costs (ex-depreciation and amortisation) rising 12.2%. 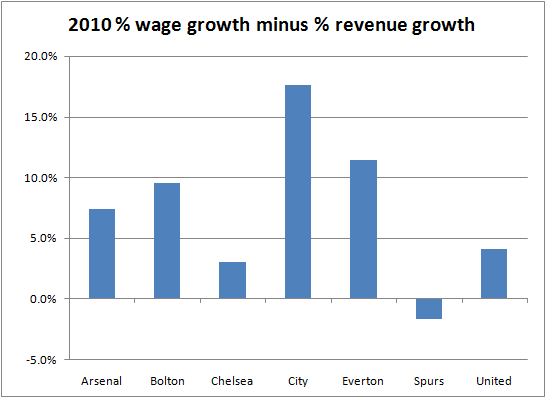 Of the seven PL clubs that have reported figures for 2009/10, only Spurs have managed to grow income faster than wage costs. The chart below shows how much wage growth (in percentage terms) exceeds revenue growth (in percentage terms). It is clear that Everton are seeing some of the greatest cost pressure relative to income growth. The cost vs. income squeeze at Everton caused EBITDA ("Earnings before interest, tax, depreciation and amortisation") to fall from a reasonable £9.4m to just under £1m. That's an EBITDA margin of only 1.2%. The club made a profit of £19m on the sale of Joleon Lescott to Manchester City and this caused the pre-tax loss to reduce from £6.9m in 2008/09 to £3.1m. Net player capital expenditure was only £3.5m, reflecting the "sell to buy" disciplines imposed on Moyes by the board. Other investment was tiny (£0.3m), but there was still a cash outflow before financing of £6.9m. The club is paying down the securitised debt over 25 years at a rate of £2.8m per annum. With the club not generating any cash, the club is effectively having to add to its bank debt to repay its securitised debt. In total, net debt rose £6.9m over the year to £44.9m. The future – a buyer and a new ground? There are really only two routes out of Everton's financial cul de sac, a new owner with deeper pockets than Bill Kenwright and the current board and/or a new, larger stadium. Each home game only brings in revenues of around £750,000, way below the "big" clubs who earn £2-3m per home fixture. The government rejected Everton's plans to relocate to a 50,000 seater stadium in Kirkby in 2009 (a plan opposed by many Evertonians). There have been talks between the club and Liverpool City Council about alternatives sites within the city, and there has been some talk of a potential groundshare with Liverpool as and when a new ground is built in Stanley Park. Not only is Goodison too small, it lacks the corporate hospitality facilities needed to generate significant matchday income. Income per available seat was only £19 per game in 2009/10 vs. £30 for LFC (2008/09). "Tirelessly to find that rich and generous benefactor." Until Everton secure a new and bigger ground or that elusive "rich and generous benefactor" it looks likely that they will struggle financially. That such a well established, prudently run club with the eighth highest attendances in the Premier League is struggling like it is, tells us much about the finances of the modern game. Accountants Deloittes today published their annual Football Money League (“FML”) look at club football. The press love the FML and there will no doubt be much comment about who the “richest club” is, who is on the up and who is heading down. 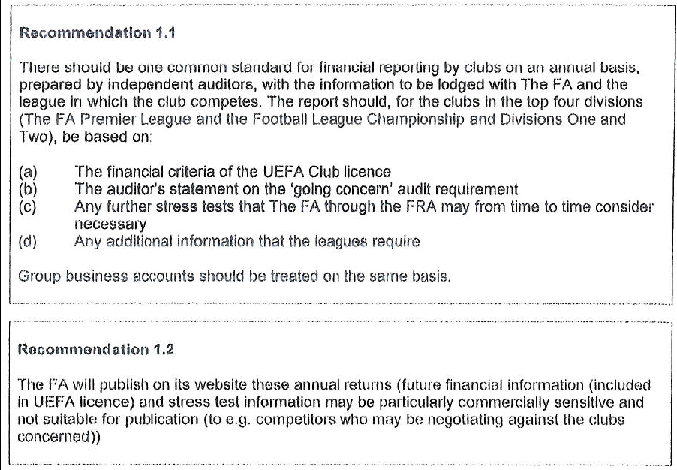 Deloitte’s work is pretty thorough and their numbers are useful for people like me who look at football finance, especially when examining those clubs whose disclosure is poor (hello Chelsea). It is worth remembering however that the FML focus solely on revenue. The “riches” it lists take no account of any of the costs of running a football club. Revenue is not a major problem for participants in Europe’s main leagues, the financial problems of the game are on the cost side. To help maintain some sanity on FML day, here are some figures for 2009/10 for the seven English clubs who appear in the Top 20 of the FML. So there you can see the real picture of England’s biggest clubs. Only one makes a pre-tax profit (although United would do excluding non-cash goodwill amortisation and last year’s exceptional finance costs). 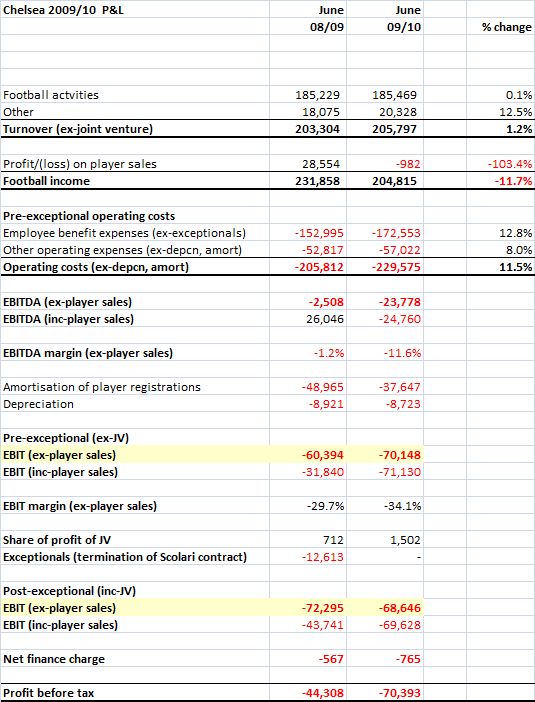 In total the clubs only make EBITDA of around £149m, a paltry 12% margin. The big loss makers obviously have wealthy owners to bankroll them, but in aggregate, for all the talk of resilience through the recession, English football remains systemically loss making and the only people getting rich are players, managers and agents. Giving evidence to the Department for Culture, Media and Sport ("DCMS") Select Committee this morning, Lord Triesman, the first independent Chairman of the FA, revealed how FA proposals to reform football had been killed by the Premier League in 2009. Triesman described how carefully considered proposals for the FA to regulate finance, debt, licensing, supporter ownership and other key areas across the English game were killed by representatives of the professional game, led by the Premier League "in two minutes" with no discussion. Lord Triesman has been supplied with a copy of those proposals by someone inside the FA and gave them to the Committee. The Committee will at some point publish them, but in the meantime thanks to key supporters of reform within the FA, I publish them here for the first time. These proposals, that were never properly debated, aim to restore the FA's historical role as regulator of English football and to tackle issues of key concern. This is not a revolutionary blueprint, but a well thought out set of ideas to bring sanity to the sport. They were killed by financial interests within the game. I suggest interested readers compare them to the FA's head in the sand submission to the DCMS Committee (available here). The contrast is stark and damning. 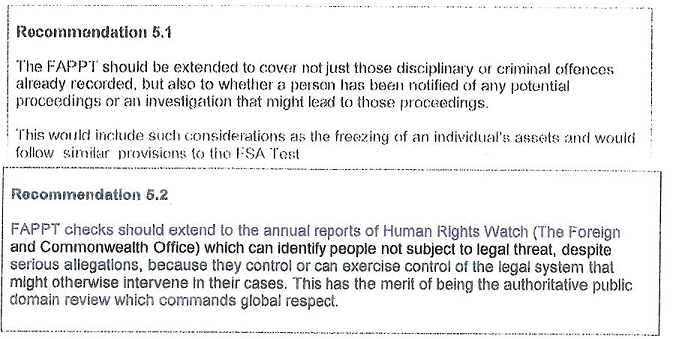 Why were the Premier League so keen to kill this measured and reasonable document? Why won't the clubs allow the FA to regulate the game (Triesman called the current regulatory system "outsourced" to the leagues)? Time to put this right. "Operating Loss for the financial year reduced from £72.3m to £68.6m"
Today (at the same time Torres was doing his first press conference at the club) Chelsea FC plc's accounts became available at Companies House. They paint a very different picture from that set out in the press release. Chelsea do not give a proper income split in their accounts (unlike United, Arsenal, Spurs, City, Liverpool, Villa, Bolton etc, etc). Instead they divide revenue between "Football activities" and four other tiny categories including Car parking and Hotel/Catering. Overall, turnover from "Football activities" (90% of turnover) only rose 0.1% despite the far better Champions League TV deal that came in last season. This was also the season that Chelsea won the domestic double. 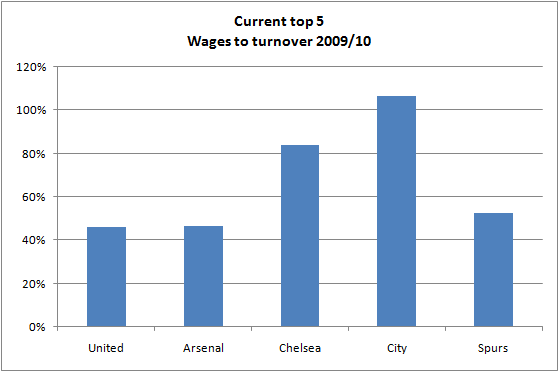 Total turnover rose 1.2%, roughly in-line with Arsenal (-1% ex-property) but behind United (+3%) and Spurs (+6%). All major English clubs are struggling to grow the top-line. The JV with Sky (Chelsea Digital Media) saw decent turnover growth of 19%. 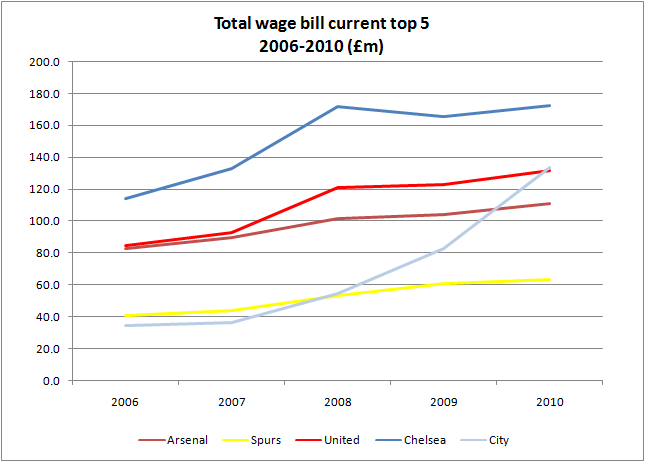 Football has a problem with cost inflation, especially wages, and Chelsea is no different. In 2008/09 Chelsea paid £12.6m in termination payments to Felipe Scolari and his backroom team. Stripping out this exceptional item, Chelsea's total staff costs rose an eye watering 12.8% in 2009/10 (see table). No doubt there were bonuses payable following the league and FA Cup wins, but it is an unpleasant upward spike given that staff costs had fallen the previous year. 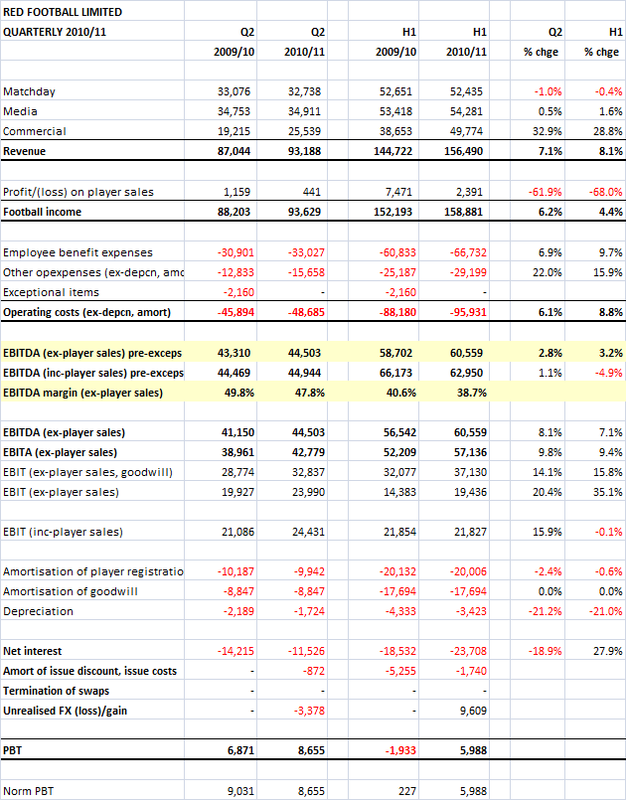 Staff costs are 84% of revenue vs. 46% at United and 47% at Arsenal (and a bonkers 107% at City). Other costs (excluding depreciation and player contract amortisation) rose 8.0%. With (pre-exceptional) costs up 11.5% and revenue up only 1.2%, EBITDA losses rose sharply to £23.8m from £2.5m. EBITDA (earnings before interest, tax, depreciation and amortisation) is effectively cash profit before transfers and interest. This number shows CFC running a long way behind break-even even before considering transfer spend and in a pretty good season. Most large clubs make a book profit on selling players (because their value is written down over their contracts). In 2008/09, Chelsea made £28.6m from selling Bridge, Ben Haim and Sidwell. In 2009/10 by contrast, the sales of Pizzaro and Shevchenko netted a loss of £1m. Shifting players off the books and little transfer spending caused a big fall in the amortisation charge for player contracts. This is an important number as UEFA will include it in "costs" when assessing clubs for Financial Fair Play. Amortisation was over £57m in 2007/8, fell to £49.0m in 2008/9 and only £37.6m last year. By contrast City's amortisation last year was £71m. Adding amortisation and depreciation and the £1.5m profit from the TV joint-venture gives an operating loss of £68.6m. This is the number Chelsea were so keen to quote in their press release. They compared it to the £72.3m loss the previous year, but this number includes the £12.6m paid to Scolari and his boys. Excluding that exceptional, the loss actually increased by £9m. Nice spin. The other area the press release was keen to focus on was cash flow. The club was cash positive in the year (by £3.8m before financing), but only because net cash transfer spending was an in-flow of £18.2m. Before transfers, there was a cash outflow of £14.4m. Obviously this year, Chelsea have gone on an enormous spending spree, incurring c. £87m of net transfer spending. There is a lot more to be written about Chelsea and FFP, but for the moment, this is my estimate of the "break-even result" for Chelsea for 2009/10. I have excluded the one-off exemption for player contracts signed before June 2010 in the first monitoring period. This will help the club materially but only in looking at the 2011/12 year. 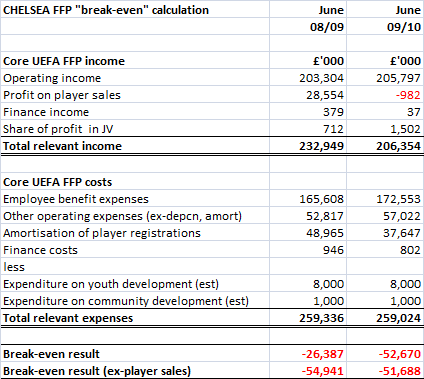 On these estimates, Chelsea have a £50m+ deficit on the UEFA calculation and that is before Torres, Luiz etc (offset by losing Ballack, Cole, Deco etc). "Challenging" would be the word that comes to mind when wondering whether Chelsea can comply with FFP. Chelsea have a major structural problem, they have the highest wage bill in English football (see chart) but a small ground and already very high ticket prices. Followers of the United finance story will know that unexpectedly on 22nd November last year, the Glazers found the £249.1m required to pay off the infamous PIKs. In December, filings at Companies House showed that this money had been raised by issuing two new shares in United's UK parent company Red Football Shareholder Limited (2 new shares being 0.0002% of the issued share capital). RFS then bought two shares in its subsidiary Red Football Joint Venture (which owed the PIKs) for the same sum and RFJV used the money to repay the debt. Today, with the filing at Companies House of Red Football Shareholders' "Annual Return", we learned a little bit more about that strange share issue. The Annual Return shows that 100% of RFS' shares (including the two new and very expensive ones) are now owned by a new company called Red Football LLC. Previously, all the shares had been owned by Red Football Limited Partnership, a Nevada company. A quick search in the usual places shows that Red Football LLC is a new company in Delaware, the most secretive of all US states when it comes to corporations. The company, which through a string of four UK subsidiaries now owns 100% of Manchester United was formed on 4th November 2010, just under three weeks before the PIKs were repaid. A 2009 report by the Tax Justice Network named Delaware, home to half of all US corporations, as the most secretive financial location in the world (beating strong competition from the Cayman Islands, British Virgin Islands etc). It is virtually impossible to get information on Delaware companies and it is almost as if the Glazers are trying to keep information about the PIK repayment secret. We don't know who the directors of Red Football LLC are, who its shareholders are or how it obtained the £249.1m. This matters because there are really only two explanations for the repayment of the PIKs; either the Glazers have found some sort of equity to repay them (even though nobody can identify where that could have come from) or Red Football LLC has borrowed the money to repay the debt and the threat of the club's cash being used to service this new debt is still there. If it's the former then United are in a strong financial position despite the wasted £45m spent annually on bond interest. If it's the latter then the there is a high chance of the Glazers taking the £100m+ (and rising) of dividends to which they are "entitled" at some point in the future. Naturally, we can't ask the Glazers anything about this as they won't talk to the fans and their employees in M16 don't appear to know. In my view that is not how the biggest football club in the world should be managed.